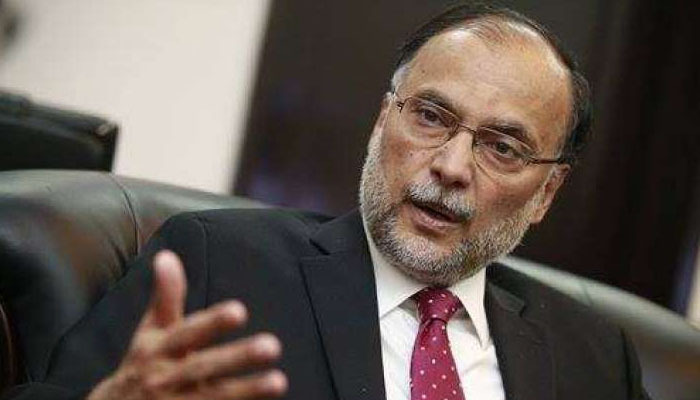 ISLAMABAD: Former planning minister Ahsan Iqbal has rejected the US statement that huge Chinese debt trap is responsible for Pakistan's current economic challenges. In a tweet Friday, the PML-N leader, who was country's focal person on China-Pakistan Economic Corridor, said that the payment of Chinese loan shall begin after 2022 and that will not be more than 2 billion dollars per annum so it is wrong to blame Beijing deals for the economic mess. The United States has blamed CPEC agreements for Islamabad's deteriorating financial sitation. During a press conference, the State Department spokesperson Heather Nauert said; "We understand that Pakistan has formally requested assistance from the International Monetary Fund (IMF). In all cases, we examine that closely from all angles of it, including Pakistan's debt position, in evaluating any type of loan programme," adding this is something the United States has been tracking fairly closely. Responding to a question, Nauert said; "The secretary had spoken about this a few months back, I know, in some interviews not that long ago. I think part of the reason that Pakistan found itself in this situation is Chinese debt, and the fact that there is debt that governments have incurred that they maybe thought wouldn't be so tough to bail themselves out of, but has become increasingly tough." Ahsan Iqbal stronly denied the perception and said that political instability, deciline in foreign investment and an inexperience government in the canpital are the real reasons behind financial crisis. The IMF’s Managing Director, Christine Lagarde, has confirmed that Pakistan requested financial assistance from the IMF to help address the country’s economic challenges and the Fund would be sending its team to Islamabad in coming weeks to initiate discussions for possible package. To a questions on this issue in Bali, Indonesia, Lagarde said she would require absolute transparency on Pakistan's debts, including those owned by China.